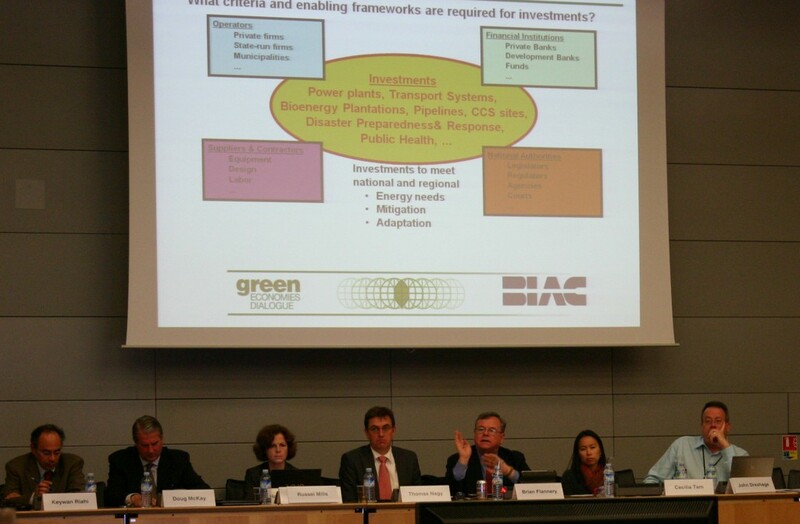 The United States Council Foundation (USCF) and United States Council for International Business (USCIB), its partners and sponsors, with particular assistance from the Business and Industry Advisory Committee to the OECD and members of the USCIB Energy & Environment Committee, have launched the Green Economy, Green Perspectives Dialogue project. This project will include a series of dialogues that will engage the private sector and inform international policy discussions. Please visit the appropriate pages for more information on the above mentioned Dialogue sessions. 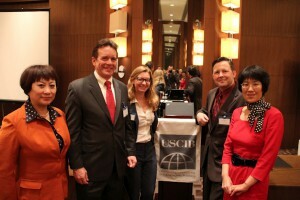 Below: Some of the participants and organizers of the March 21st Beijing Dialogue: USCIB President & CEO Peter Robinson joined by Anna Zhang, USCIB; Justine Badimon, USCIB; Tad Ferris, Holland & Knight and Chair of USCIB’s China Committee; and Jianmei Feng, General Electric. 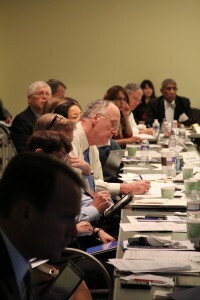 Left: Some of the participants at the April 2012 Tokyo Dialogue. 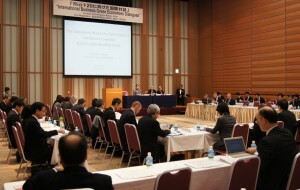 Over 80 participants from academia and the public and private sectors attended the Tokyo Dialogue.